Why is the architecture profession silent on the immigrant detention debate? 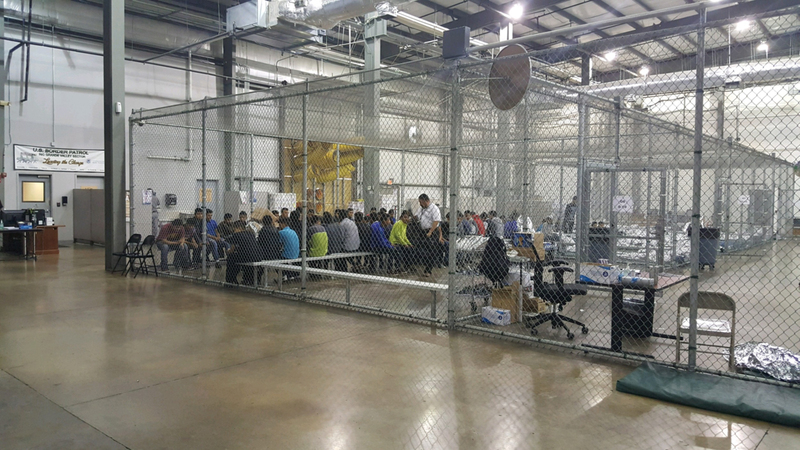 - Archpaper.com Why is the architecture profession silent on the immigrant detention debate? According to a draft Navy memo reported by Time late last week, the military base at Camp Pendleton north of San Diego and the Concord Naval Weapons Station (CNWS) east of San Francisco were being eyed as potential sites for “temporary and austere” detention facilities that would hold up to 47,000 detained migrants each over coming months. The plans encountered swift and fierce local opposition from residents and City of Concord officials alike, prompting DHS to unofficially reconsider the plan. 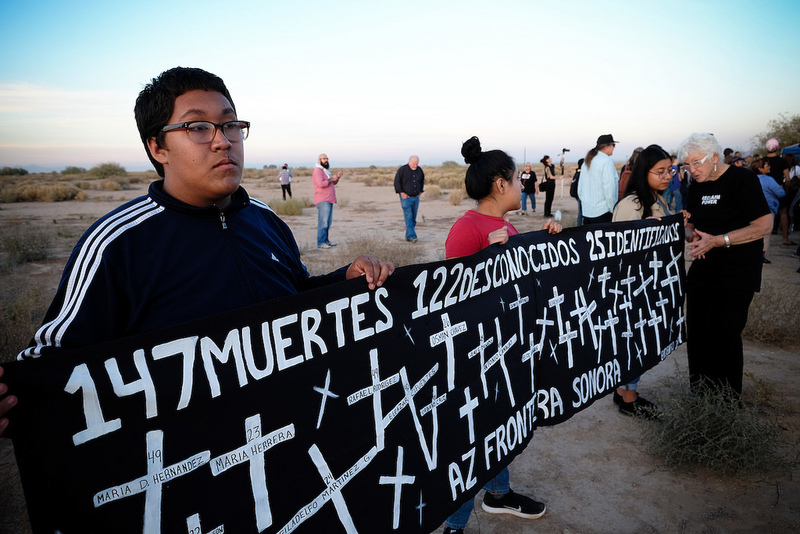 Aside from local political opposition to the Trump administration’s “zero tolerance” immigration policies—especially with regard to the policy of separating migrant families and detaining separated children under inhumane conditions—locals pointed to the CNWS site’s environmental toxicity and the presence of unexploded munitions on the grounds as additional reasons against its use as a detention facility. The dust-up in California comes as the United States government works to expand the number of migrant detention facilities across the country in order to deal with the rapidly growing number of detainees resulting from its hardline stance against incoming migrants and refugees. The memo uncovered by Time estimates the government is projecting to warehouse up to 25,000 detained migrants over the coming months in abandoned airfields across southern Alabama and in the Florida panhandle in addition to the nearly 94,000 detainees planned for California. There is no word regarding where or whether the detention facilities originally slated for California are being relocated to other sites. The new facilities will join what is quickly becoming a sprawling, nation-wide network of private jail facilities, non-profit-operated detention centers, and now, camps and “tent cities” located on military bases aimed at housing detained migrants. Perhaps nothing has brought this more into focus than recent controversy over the Trump administration’s policy of family separation. Although President Trump recently put a temporary halt to the practice through an executive order, nearly 2,500 children have been separated from their families over the past two months and are now being detained in facilities spanning at least 15 states. 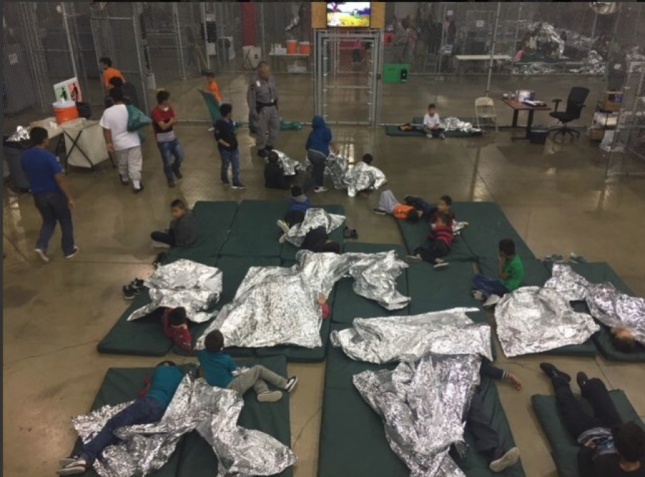 According to government figures, roughly 12,000 migrant children overall are currently being held in over 100 facilities across the country, many of which are at or exceed their designated capacities, and some of which are facing allegations of abuse and misconduct, not to mention ill-equipped to handle the mental health, welfare, and legal hurdles these children face. As a result, the nation’s sprawling—and expanding—carceral archipelago has now become a major source of political, ethical, and moral debate. As with the vast for-profit prison system, there are many questions about the ethical and moral implications of designing and constructing these facilities. So far, however, the architectural profession is staying mostly out of the fray, with a few exceptions. The statement came as the American Institute of Architects (AIA) held its annual convention in New York City, an event that was marked with a heavy emphasis on the profession’s attempts to overcome the diversity and inclusion hurdles currently faced by the white- and male-dominated profession. It was not long ago that the association drew the ire of its members following the 2016 national election, when AIA CEO Robert Ivy declared that AIA members “stand ready to work” with Trump toward shared goals like infrastructure investments. When reached for comment on the question of whether architects should take on these commissions, Carl Elefante, AIA president, referred AN to the AIA press team. When contacted, a representative of the AIA simply asked, “Why do you think architects are working on these projects?” without providing further comment. Most notoriously, a 200,000-square-foot former Walmart in Brownsville, Texas came under scrutiny in recent weeks as a detention center with a unique claim to fame—the largest detention center for migrant and refugee children. Operated by the privately-run Southwest Key Programs organization, the big-box detention center was converted from a retail store to its current use in 2016 as a result of corporate downsizing and currently holds roughly 1,500 separated children. The conversion likely required building permits, construction drawings, and the like—services that often require architects. It is safe to assume that local jurisdictions would require basic planning approval and permitting for these projects, so it seems natural that architects would somehow be involved in the propagation of these facilities. The silence from professional organizations on the matter is troubling to say the least; as the government ramps up efforts to build more facilities under increasingly hostile terms, it would benefit practitioners and contractors to understand the ethical implications of their work. Furthermore, other professional architectural organizations, like the Association of Collegiate Schools of Architecture (ACSA), have pushed to have architects and designers engage with migrant and refugee detention centers through design in the past. Last year, ACSA issued a controversial call for its annual steel construction competition, asking participants to design a “Humanitarian Refugee (Detention) Center.” The proposal drew ire from the architectural community as well, prompting the group to shut down the competition in exchange for a different brief issued earlier this year. In a statement announcing the end of the competition, ACSA remarked that it had received “justified​ criticism” over the prompt and that it regretted its decision to publish the competition. The reticence that professional groups like the AIA and ACSA have toward speaking out against what many consider to be plainly unethical facilities speaks to the profession’s ongoing struggles with racial and ethnic diversity along with human rights concerns. Because detained migrants are being distributed among a network that runs the gamut of structures, from private prisons to improvised tent cities in remote desert sites, the implications of the expanding detention network extends beyond the realm of individual projects and firm-specific business decisions to encompass profession-wide ethical and human rights concerns. The racialized dimension of the immigration debate alongside the architectural profession’s continued lack of diversity present particular challenges for professional organizations and individual firms as they attempt to respond. At stake is whether—or how—the architectural profession will engage with the American immigration debate, and more broadly, with a global refugee crisis that is only due to keep growing in scope and severity as the effects of climate change and resource-driven conflicts spread globally. If AIA and ACSA will not provide leadership during these trying times, who will?